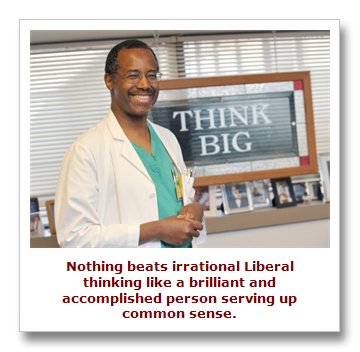 If you haven’t heard renowned Johns Hopkins pediatric neurosurgeon, Dr. Benjamin Carson, speak you’ve missed the thoughtful words of a brilliant man. Many people have never heard of Dr. Carson, but he’s actually quite famous; in 2009 Cuba Gooding Jr. starred in a movie about Carson’s life. The doctor was invited to deliver a speech at the National Prayer Breakfast this past Thursday and his performance was an unmitigated home run. 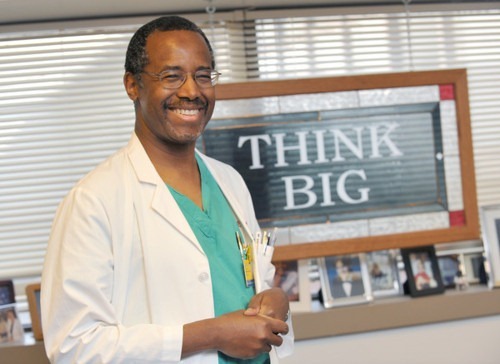 There are few people in this world better prepared to offer up their thoughts on health care reform than Dr. Carson. As the director of Pediatric Neurosurgery at Johns Hopkin’s Hospital, Dr. Carson has seen the effects of government tinkering with health care first hand. In his presentation before the audience, which included President Barack Obama, Carson offered up his own health care reform proposal as an alternative to Obamacare and his words have attracted widespread attention. Carson’s plan begins with every baby being born being provided not only with a birth certificate, but also an electronic medical record and a medical savings account. The medical savings account, into which the parents or other relatives could deposit cash, would cover the cost of standard routine health care for that child after his/her birth; if the parents were unable to contribute due to financial circumstances charities and the government could add funds to the account since billions of dollars of taxpayer money is wasted every year in corrupt government health care programs. The account would cover most standard health care expenses for that child throughout his/her life and could be passed on to their heirs. Carson made it clear in his speech that his own experiences demonstrated that government infiltration into health care has led to inferior services and his belief that Americans should be in control over their own medical care. Carson’s words that generated the most attention, however, weren’t about health care but about political correctness, which he strongly denounced. Carson exclaimed that the Americans must not be afraid to defend their philosophies because someone might be offended and encouraged Americans to respect people with whom they disagree. Carson castigated political correctness as horrible and dangerous, hindering freedom of expression and thought. Doctor Carson urged Americans to abandon their touchiness over political correctness as it will thwart them from expressing what they really believe. Carson also reflected on the present condition of US culture, citing ancient Rome that although believed powerful and unconquerable militarily was decimated in the end by moral degradation and fiscal waywardness. President Obama was visibly uncomfortable during portions of Carson’s speech as the president found himself in the unenviable position of having his vision for the country ripped apart by a brilliant Conservative. The video of Dr. Carson’s speech will undoubtedly end up as one of the most watched videos of the year and even though there’s already been a movie about Carson’s life, he’ll certainly be getting much more attention from the media in the coming weeks.